If you are planning a vacation to Cancun, you want to make sure that you are staying in a nice hotel. The most important part of taking a vacation is being able to relax in luxurious surroundings. You want to stay in a hotel with the best restaurants and plenty of amenities. If you want to know the best places to stay during your vacation to Cancun, read on. You can enjoy your meals at one of the 5 international restaurants and have drinks at one of the five bar/lounges. There is also a spa in the hotel, where you can get the peace and tranquility that you need to relax during your vacation. The average cost of a room at this hotel is $675 per night. If you are vacationing with your children and you need an adult’s day, you can drop your kids off at the hotel’s Fiesta Kids Club, where they can enjoy outdoor beach activities and indoor interactive games every day between 10am and 6pm. This is one of the nicest hotels in Cancun. Rooms at this hotel start at $219 per night. If you want to enjoy a day of relaxation, you can visit the hotel’s spa, where you can get all of the beauty and relaxation treatments that your heart desires. Rooms at this resort start at $349 per night. This is one of the nicest places to stay in Mexico, and room start at $183 per night. This hotel has everything that you could ever want during your vacation of relaxation, and rooms start at $271 per night. 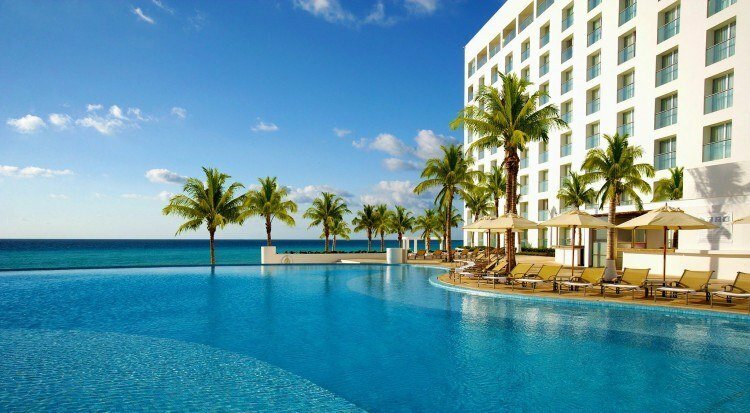 A Cancun vacation is a great way to get away from it all and relax for a while. Any of the above hotels are not only affordable, you will have a great time each and every one of them.